I spent the first half of my life in Auckland, born into a family of mad collectors. I assembled displays of all the normal kids’ stuff; stamps, badges, coins, feathers, bottle tops – you name it. By ten years old, watching my mother’s rapidly expanding (but very well dusted) collection of milk glass, Victorian pipes and bird feeders, apothecary bottles, majolica tiles and tins – I had moved on to antique bottles (especially with original labels or boxes intact), food and medical packaging, tin signs and vintage magazine advertising, and by twelve years old I already had 200 vintage tobacco tins alone. New Zealand seemed to be a very old-fashioned country that never really moved on much post World War Two. Being right down the bottom of the earth so far away from everything probably didn’t help; and even while Australia was being invaded by the whizz bang and razzle dazzle of American popular culture, The land of the long white shroud remained very much tied to Mother England’s apron strings. As a result, the way of life, as well as the charming designs and graphics of product, remained a quaint lacuna of the remarkably unchanged over the decades. Although my original and large collection has long been jettisoned, I continued collecting images for years of those items and anything from my childhood in New Zealand that brings back a memory. I eventually realised I’d like to “share” the experience and data; in the process somehow organize that jumble into a feed that can be appreciated by, and enjoyed with, others. I will have a focus on food packaging and advertising, and hope to occasionally post footage of adverts. Nearly two years down the track since my first clumsy posts – and over time my tangential but related interests to food and drink product has sometimes extended to other everyday household items, from preserving to polish; as well as celebrity cooks and advertising agencies that repped for brands, packaging printers, chain grocery or department stores, and unsung commercial artists and copywriters. Most of the graphics you see on the site have been meticulously recreated by me from often crumpled, dirty, torn and stained items that nobody else wants or cares much about. If that sounds too easy- sometimes I end up recreating them from really bad, blurry photos of crumpled, dirty, torn and stained items that nobody else wants or cares much about! I literally spend hours squinting at barely discernible lines and text and redrawing it all as perfectly as possible. – what I call grocery archaeology. A recent question a reader asked me was: “Longwhitekid, what’s that mean – and what’s it about?” Since nobody has ever asked me – I assumed it was either evident or unnecessary to give an explanation. So after some thought – I guess it’s a rather fitting combination of “long white cloud” and “Milky Bar Kid”. If I need to go into more detail, you probably shouldn’t be reading my blog. STUDENTS: Attention if you please (I know it’s difficult to focus, you will get the hang of it with old age, trust me). I do not give free help and advice here. I have had quite a number of people contacting me over the past three or more years with all kinds of requests for projects and presentations they are doing. Most of it is along the lines of “can I excerpt your text?”, “can I use your pictures?” or “can you answer some questions for me?” I especially don’t respond well to “do you know anything about Four Square?” These days the answer is no, no and NO. And to the last one – use the seach facility, that’s why it’s there! Hopeless. I don’t really care what you do to be honest, since you will go ahead and do as you please anyway (enjoy it while it lasts kids, you will have less freedom as every year progresses, believe it). Anyhoo, point being that every time I have been offered a copy of whatever it is, to see how my stuff has been used – not one time has it materialised, as promised, even with follow ups. My polite and helpful replies to your plaintive pleas for help – go unthanked. What is it with kids these days? It’s one word. What’s wrong with you? So I have no more time to give. It’s your qualification; ergo your problem. I am also a student and really busy, so you get the picture. If I had more spare time, I’d spend more time than I do writing this blog so you can rewrite bits of it for your degree. Yes, that’s right – go get some sorry cream to put on the burn I just delivered to you. ADULTS: Grow up. I mean, at least act more grown up than students. Do not contact me and ask me to write for free. Especially if it’s a for-profit publication. Don’t offer to send me me free copies of whatever, that never arrive, if I do it for free either. I don’t do that deal. Because promising something you have no intention of delivering is not really a ‘deal’. It is insulting to ask me to work for free. It immediately tells me you’ve just lied to me when you say you respect what I do. Here’s a revelation for you: good writing costs money to do! Oh, yes it does. Also: the electricity company had me escorted out last time I tried to pay them with “a couple of books”. They said I must be joking and called security. Just saying. There, I feel much better now. Thanks for asking. Thanks Henry. I’ve seen your blog, I especially enjoyed “Fine dining in the ranges”. My mother’s side of the family are Dutch Indonesian. The Dutch seemed to be a significant post WWII influx along with the numerous Yogoslavian immigrants. So they knew that community there in the area fairly well, where like you I grew up – I actually went to Oratia School. And I can’t recall ever hearing about that venue. I’ll have to remember to ask if they ever ate there. Just love reading about it. Hi Enzo, wow I haven’t seen you since you were a child. I remember one time we got lost on a ramble in the bush at the back of her house. Scary for youngsters. My grandmotther passed away in 2007. I am sure you knew that. I know she was very fond of you so I am sorry if you didn’t know and this is the first you’ve heard of it. I’m sorry to hear about that, I hadn’t heard. I did know she was in her 90s though so not terribly unexpected… I was trying to think when I last called in and saw her at her little flat off Archers Road. I think it must have been either ’06 or ’07…. Ha ha I remember getting lost in that bush well, we thought we were in the middle of the Amazon, only to discover later we were only a few metres away from home. I have enjoyed flicking through this site. I wonder – do you have an image (or remember) the ice-cream ‘Walls Balls’ …. possibly late 60s, maybe early 70s. The ice cream came in a little plastic coloured ball and from memory you removed a hexagonal shaped lid to get into it. Anyway – thought it was worth asking! Thanks Lyn! Well I guess you came to the right person since I don’t know anyone else who keeps a database of NZ ice cream products! Don’t have a record of that one – was it possibly called a “Fizzbang”? Tip-Top had one called a “Screwball”, which seemed to be a milk ice in a plastic cone with a foil lid like Trumpets have. At the bottom was a bubblegum ball. I don’t think this sounds at all like what you remember though…I’ll take note of this one and add it in. I can’t even tell you where to go to ask about an archive because Wall’s was such a “pass-around patty” from the late 1960s to the late 1970s – with so many owners over that time I bet any product records from an earlier time are well and truly lost. Hey there – thanks for the quick response! Nope, definitely a Walls Ball! – I can see it in my minds eye as plain as anything – and just as plainly can ‘see’ one late night (probably only 6pm if truth be told), going with Dad to the dairy – him buying an 8’oclock and him buying me and my sister each one of these ice-creams. It was too cold to eat it, but I desperately wanted that plastic ball/container! The one I got that night was blue! I did ask the Walls company (in Australia) if they had any advertising material or something that would have shown it. Got a very polite reply – but it came to nothing. Who knows maybe something will surface. Hmm, thinking now. Yes, was Streets – under the Unilever umbrella, if I recall correctly. They made the comment that their archives were not kept back that far . . . though I think she did comment that Walls was the British arm, whereas Streets was Australian. I hadn’t thought of ice-cream being imported to NZ from UK – but maybe it was??? Who knows! I tried researching it all at the time – but it came to nothing. I dont believe I imagined it all!! 🙂 Must have been one hell of a dream if I did! That’s right. Wall’s originally came to NZ from the UK under the Birdseye umbrella which was auspices of Unilever. My records go back to the early 1960s. At various times it was quoted as being manufactured by one or the other. It was acquired by a company called Rangitikei Dairy Plains at some point who eventually offloaded it to Tip-Top who in turn seem to have disappeared it some time after the late 1970s. Like a lot of these buy-outs and changeovers it’s very confusing. Stumbled across your blog and it brought back some great memories. I collect soft drink bottles myself. Only ones with the brand printed directly onto the bottle. There were so many brands and bottling plants around the country. The bottles have some great imagery. Do you happen to have any wrappers or recollection of DECKS lollies? Few people I speak to remember them. Thanks for your comment Glen. I have a long list of soft dink manufacturers I keep a database of. It’s probably as long as butter and tea brands. The old Pyro (baked ceramic) labels are great, I also like the old milk bottles which for a period used to have ads on for products from toasters to neckties from what I’ve seen. No images of Deck,sorry. It’s kind of amazing one hasn’t turned up yet. I’ve asked several people and several have asked me. I also very fondly remember them. I think they were made in orange, lemon and strawberry, from what I remember. They were around from the early 1960s. Griffins made them and turned them over to Sweetacres in the 1980s. The last record I have for them is 1986. I’d dearly like to see the packaging again. I remember what it looked like,the individual wrappers ad a little black repeat print on white of clubs, spades, aces, and hearts. They seem to have disappeared by the end of the decade. Hi Long white kid, I love your website, great reading and Images. Im an artist having an exhibition looking at collecting habits and treasure hunting and have screenprinted over 100 images of objects for the installation including some kiwiana you might like. Ive just loved reading your site for the depth of research you go into- its fabulous. As an artist the images I have used in my work I’ve collected from other peoples collections, by haven’t researched individual objects, so your writing really helps with this. My latest exhibition is a sort of homage to how, why and what we are collecting. My show is called ‘recovered’ and is opening tomorrow at Papakura Art Gallery, 10 Averil st, Papakura its on til 13 April. The images are meant to reflect a possible collection of Papakura ( and greater NZs past) objects reflected by my gathering these collectables from other peoples boggs, trade me and auction sites. Images are up on Papakura Gallerys facebook site. Can I email you some images? sorry not sure of your email or how to attach here !? I am an exhibition designer based in Adelaide, South Australia. I am currently designing an exhibition about bathing huts and I want to recreate some packaging of the 50’s and 60’s from australia but can not find any good reference online. You have done a great job with your packaging – any tips or websites you can give me? I’m from an ephemera collecting society in Melbourne called the Ephemera Society of Australia. We have a website http://www.ephemerasociety.org.au/ and a journal and members with a lot of different collecting interests. we were founded by a paperbag collector, I would like one day permission to reprint something from your blog for our members. I have heard of your organisation. I was under the impression that the magazine recently ceased being published. It seems I have that wrong. I would be very pleased if the Ephemera Society would like to publish something in it, of course. Heya, I’m trying to get in touch with you again about a Depot project you might like to get involved in. Can you please flick me an email when you get a chance? Thanks! I’m wanting to access one of the old edmonds baking advertisements. Is this possible and if so, how do I get hold of one? Hi Chloe, you’ll have to be more specific, Edmonds were one of the most prolific advertisers in history of any brand – so there are literally hundreds. Can anyone tell me who makes the Sunshine Pegs in NZ now? Trying to source dome from the manufacturer! Hi Tracey, it looks like this product may still be on the shop shelves so it’s as easy as going down to your local supermarket and looking on the packet. If not you’d be better off posting your question on a page with a large volume of readership like Living in Dunedin in the 60’s-90’s on Facebook. Or History Always Repeats: Remembering New Zealand. There’s a few pages and groups like that but with thousands of members. If you post a picture of the pegs with it it’s bound to catch people’s attention. Thanks for reading Cam. Yes, immortalize Moggy Man with a tattoo! Hi there – Great blog!! Brings back so many memories! I was hoping to chat to you about a project we are doing for which I’d love to access some of the fantastic old Griffin’s photographs you have. Could you email me, or give me your email address and I’ll explain more? Thanks for the compliment. I don’t think I’ve really done a good post on the Griffin’s story. Thanks! Yeah, of course you are right, now I really think deeply. I am in saudi arabia. I want to get job in your company as i have some affiliations with this brand. Perhaps you can help. I am looking for a print of a four square poster from the fifties. It depicts a futuristic 4 square store with space-like vehicles and what looks like a stealth bomber flying by. The tagli e is whatever the future brings, four square will be there. Are you familiar with it and can you point me in the right direction to obtain a copy. Hi Simon, I think I know which one you mean. There was one for sale a few weeks ago on Trade Me. It sold for hundreds. My guess it was designed by Bernard Roundhill. It’s the one and only time I’ve seen a copy of it. Not again! Thanks for the heads up! This had definitely been ripped off from my Redbubble store, I can tell by the fonts and brush strokes which are uniquely my work. I’ll tackle it immediately. Thanks for your comment Catherine, glad to be of service and it’s great you enjoyed the read. 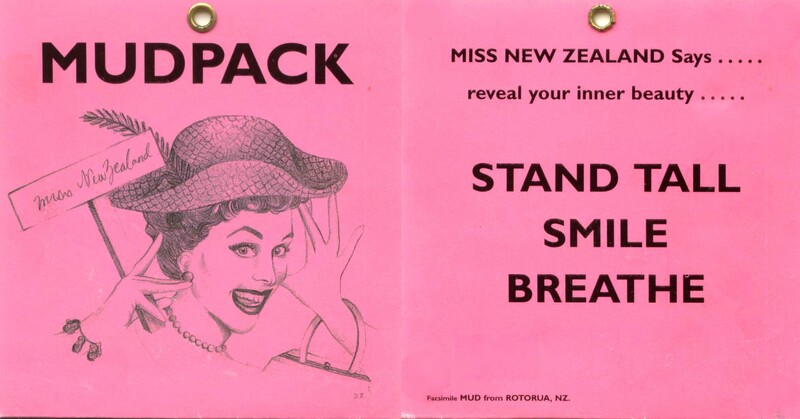 Hey there….I have been using your site to regularly reference to with my own collections of vintage packaging. I’ve often (really, really often), wanted to share some with you that I thought may be of interest, but I have no idea where to send them or how to share them. I also have a neat little pile of things I’ve made with your wonderful restored works – yes I did read what you said earlier about people promising but not following through. Well, I make stuff with them, and I want to share it with you. The pile has been growing for about 18 months now….but again have no idea where to send it to. I only wish I could learn what you do! I have about 2 thousand vintage pieces of packaging, and I’d love to be able to restore them all! so I practice and practice and practice. Anyway….I’d love to share these things with you, please can you tell me how? If I had a po box address, they’d be scooting to you by the middle of the week! Love your work….you’re a totally legend! Thanks for your kind comments robyn, I will be in touch. Hi Darian, is it possible to contact you about using some of your work on a personal blog? I have a question for you and I think you might be able to answer it. Who put beetroot into a hamburger first, was it a Kiwi or an Aussie? I’ve always believed like the Pav it was ours but stolen by that lot over there. It’s never occurred to me but food for thought, literally. Since the Aussies have stolen everything from us, I think you can probably work out the answer. I know I can! Thanks! It doesn’t seem like a lot of work when done in increments. I guess that the ones that stick out as having had a ton of work done on them have ended up being my most highly-read stories, which I guess says everything. Longwhitekid is now published by a quarterly e-book. Whittaker’s recently had a Hanilton triple head in use in their Cuba Street pop-up store. They may have purchased the one that was on offer on Trade Me a couple of months back, the going price was about 2,750. Generally the older, single ones are d esirable and sell, but lately there seem to be repro ones about. I have a Ballins breweries jug dated 1878-1978 to sell. Can you advise who would be interested please? I found your blog by doing a search for Regina Easter Eggs… we have one from at least early 50’s but more likely to be 1940s. Didn’t know if you were interested or wanted a photo. It’s intact…. it’s been a family joke really. All original packaging etc. If you would like a photo get in touch! Sounds great, I’ll be in touch. Thanks for your kind words. No, I live in Australia at the moment. I was looking for info about L.D. Nathan — thank you so much. (I’m in the U.S., dreaming of being able to move to New Zealand…) Best wishes. I’m dreaming of RETIRING. As soon as possible. I am sure there’s plenty about the Nathans online. There were three Nathan businesses that were major merchants: LD (David, Lawrence and Nathan), Joseph, and Arthur. Hi I really enjoyed your photo gallery. I came across your site when searching for an image of the Auckland Zoo dragon before its teeth were filed Back. In 1969 i was 7 on a school excursion and I fell on the dragons tooth which almost took my life. Thanks for your comment, Bryan. The only thing surprising about this is, I haven’t heard a story of this kind earlier! Those things were an OHS nightmare. I was surprised too that my parents never heard any more from the zoo about it either as I was hospitalized for weeks afterwards. It was a zoo groundskeeper who lifted me off the tooth before being ultimately transported by a car to hospital. At the time i was going to Point Chevlier primary school. Im sure there’d be people who’d remember the incident as I was bleeding profusely. I live in Australia now amd intend to return to the zoo and tell my story this year. I think it may interest people as to why those teeth are missing. It was only a matter of time that an injury happened. If that accident had have happened today maybe that dragon would be dismantled. Hi. Fellow Kiwi here. Accidently stumbled upon your website. So awesome to see you collecting and restoring these historic memorabilia of Kiwiana. So many memories of days gone by. Thank you for your efforts. Thanks for the compliment Norm. I’ll put you on the mailing list for the journal.